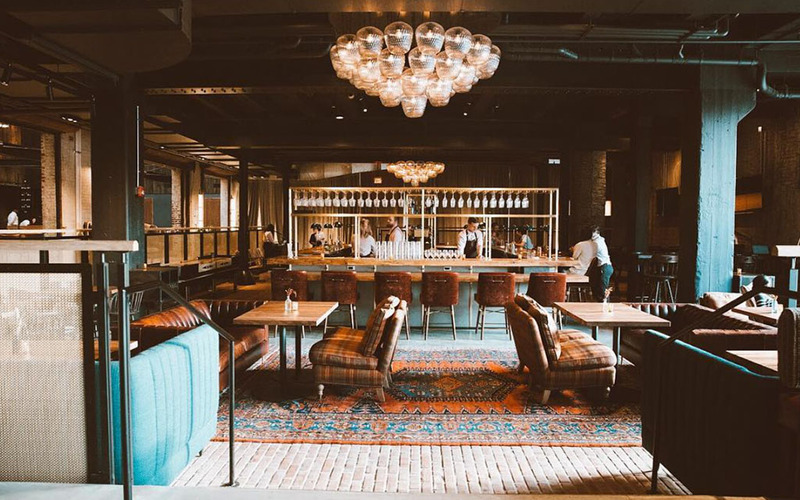 How do boutique hotels make it in 2018? After all, Airbnb has checkmark filters for “Castle” and “Treehouse.” Thousands of its listings are little Instagram factories, destinations unto themselves. It just takes filching a bit from that winning formula, while pouring in the sort of money and might only an old-school American hotel could muster. 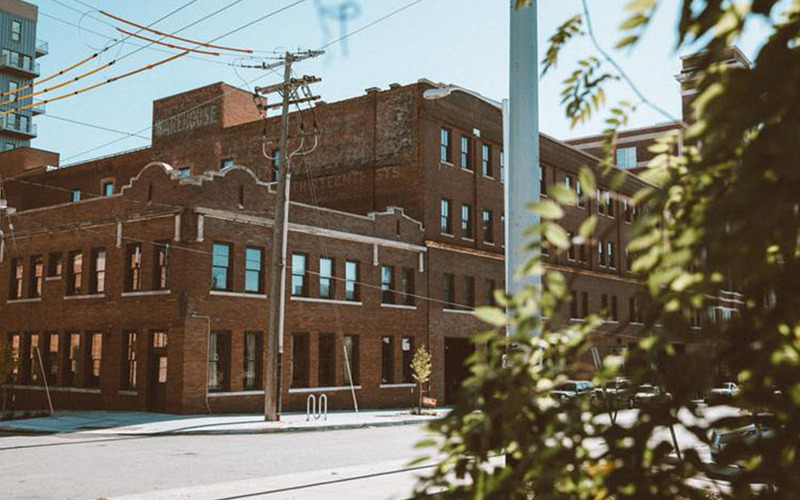 Enter: Kansas City, Missouri’s brand new, blue-ribbon worthy Crossroads Hotel. 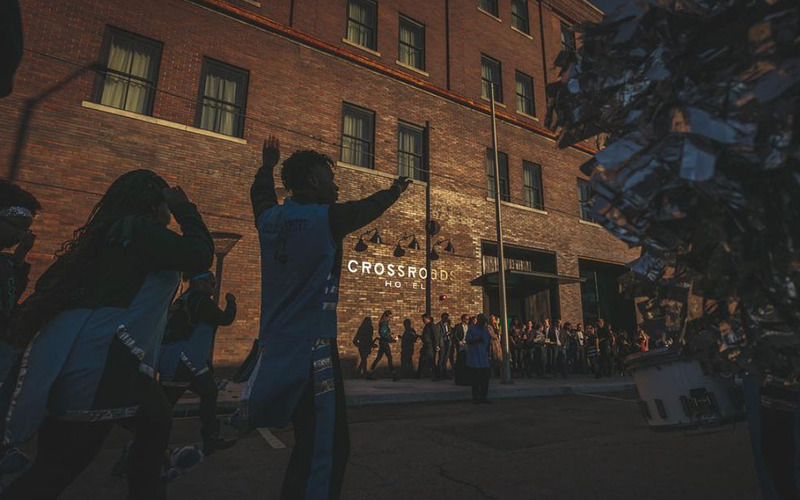 Built in a once-forgotten Pabst Brewing Company bottling plant, and located in namesake neighborhood The Crossroads (KC’s resident arts and live-music paradise), Crossroads Hotel is a testament to patient design and passionate construction. Younger Americans are a pretty egalitarian bunch on the traveling front. Bring together great architects, designers, chefs and artists — and they’ll find a way to get there. As for Crossroads, we’re already setting aside a couple days with HR for a 2019 sojourn to the Paris of the Plains. 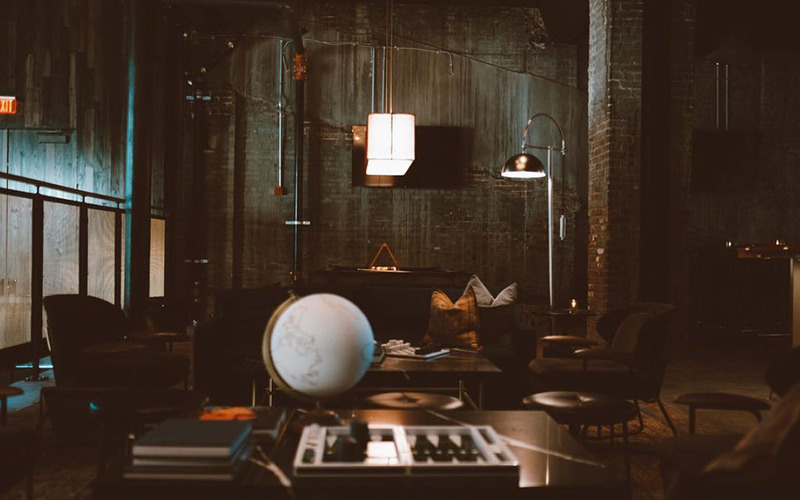 On the premises, you’ll find a five-story atrium event space, an Italian steakhouse, a rooftop deck with bocce courts and cocktails, and 131 rooms balancing coziness and local curios; think leather goods from Foxtrot Supply Co., and wallpaper via local tattoo maven Mikey Wheeler. All told, it’s a boutique hotel done thoughtfully. Save us a rack of ribs or two, KC. Head here to book your stay.